Medical appliance technicians combine a knowledge of human anatomy with math and power tools to create artificial limbs and braces. 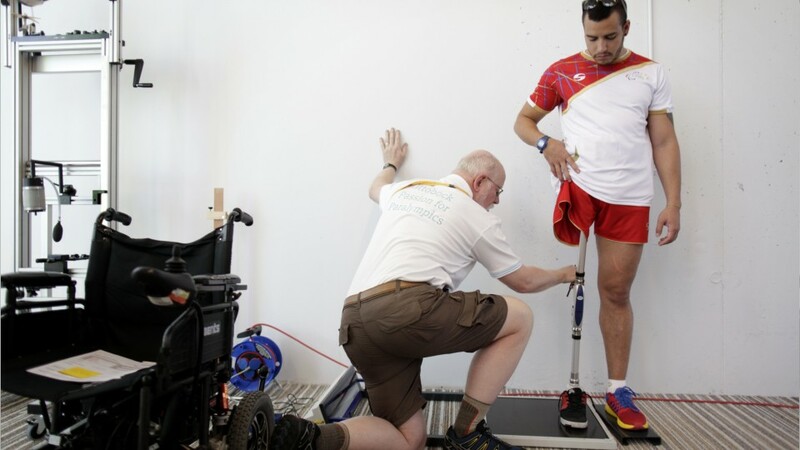 Their work supports other medical experts who use devices to help patients overcome a physical limitation. These technicians read prescriptions and detailed information about what a patient needs. They often work from a cast or impression, measuring with precision instruments, and then creating an appliance or new limb with the help of design software. Typically, technicians use hand or power tools to cut and shape the new limbs. They glue, rivet or weld the parts together. However, the use of 3D printer technology is growing rapidly, allowing for better fit and function than traditional prostheses. In either case, the final steps include smoothing the surfaces, and padding or covering them. Devices are then tested, adjusted, and eventually, repaired and maintained. Requirements vary from high school or equivalent to vocational training or an associate's degree. While there are few courses available in the field of orthotic and prosthetic technician, classes in shop, math, science and anatomy are helpful. Most learn technical skills on the job. Appliance technicians are medical mechanics. The appliances they build help people achieve physical function and form, as well as independence and productivity. Medical Appliance Technicians by U.S. Department of Labor, Employment and Training Administration is licensed under a Creative Commons Attribution 4.0 International License.